From childhood to adulthood, play is something we need to continue to practice as it positively contributes to our cognitive, physical, social and emotional wellbeing. At Ninja Parc we specialise in play, providing Casual Play sessions that allow for movement at your own pace. Casual Play is not only great for individuals, it also ideal for families, providing the perfect opportunity for parents to engage with their children as you tackle obstacles together. While we take safety seriously and have some rules, our Casual Play sessions are mostly unstructured, an approach that’s supported by countless evidence which suggests that unstructured, self-driven play is important for all ages. Casual Play sessions give you one hour of full access to Ninja Parc and its obstacles. You can play as much or as little as you like in almost any order. This is your play time. 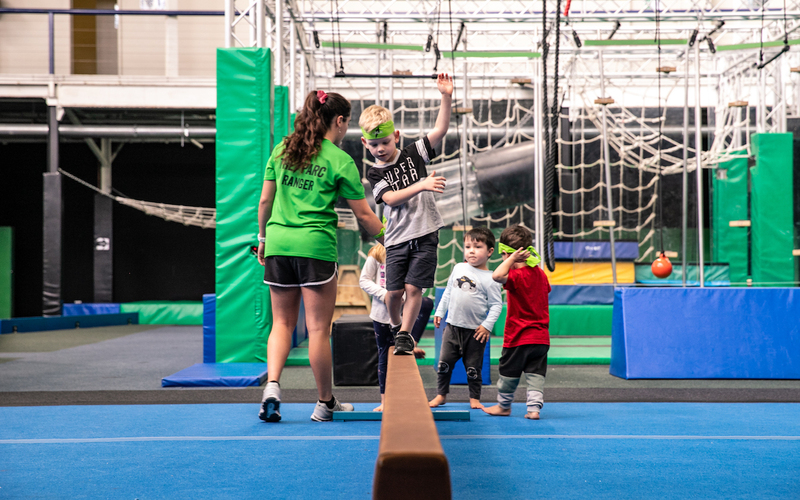 Our highly trained Parc Rangers are always patrolling Ninja Parc, ensuring your safety while also giving you some tips and hints to make your play time more efficient. When play is controlled too much, you have to follow rules and concerns (like winning) and can lose some of the benefits unstructured play offers. For example, creativity.